In 1962, beginning as The Ronnie Drew Ballad Group, Ronnie Drew, Luke Kelly, Ciaran Bourke and Barney McKenna, became the founding members of Ireland's longest surviving musical act by the time the band retired after 50 years at the end of 2012. Although, there were many member changes throughout the years, including John Sheahan, Bobby Lynch, Jim McCann, Sean Cannon, Eamonn Campbell, Paddy Kelly, and Patsy Watchorn, the Dubliners sound continued to be an Irish favorite. The Dubliners received a BBC Radio 2 Lifetime Achievement award in February 2012 for their significant musical contributions. The Dubliners were central to popularizing irish folk music in Europe in the 20th century. 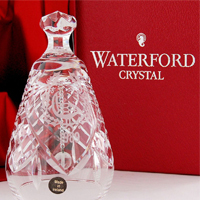 Their influence and legacy can be seen by newer generation groups such as Floggin Molly, The Pogues and Dropkick Murphys. These musical legends were featured around the world on shows such as Ed Sullivan and BBC. Their songs topped charts in Europe in the 60's, 70's and 80's. The Dubliners were known for traditional folk as well as edgy folk which at times made them less popular by folk purists. The Dubliners had 16 Irish Chart Singles and 5 UK Chart Singles and produced more than 50 albums during their tenure. With the passing of the last founding member of The Dubliners, Barney McKenna, in April 2012 and 2012 being their 50th anniversary, retiring the band seemed fitting but not without finishing an extensive European tour and a live DVD release. 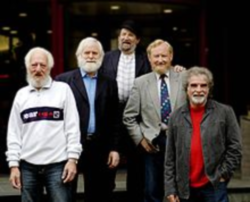 Even though The Dubliners have closed one of the greatest chapters in Irish Folk Music, many of the surviving members have chosen to start a new chapter as "Cannon, Campbell, Watchorn and O'Connor" or "The Spirit of the Dubliners" and have already scheduled tour dates in 2013.